NBA – As the 2017 – 2018 NBA Regular Season is nearing its end in just a couple of weeks, the defending NBA Champion is facing a big problem after their three All – Star players, Stephen Curry, Klay Thompson and Kevin Durant are all in the Warriors injury list. Kevin Durant is the latest victim of the Warriors injury problem after he suffered a fractured right rib in their last game against the Minnesota Timberwolves. 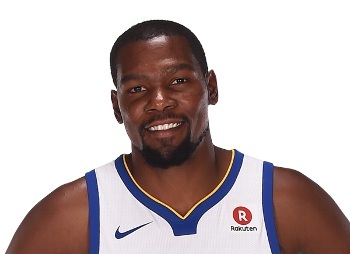 According to report Durant will be out for 1 or 2 weeks and will be re-evaluated before returning to the Warriors lineup before the season ends? Prior to Durant’s injury, 2 – Time MVP Stephen Curry and 4 – Time NBA All – Star Klay Thompson was already in the Warriors injury list, Curry is suffering from ankle injury who has been out for a couple of games now while Klay Thompson with a fractured right thumb. Because of this injury problem the Warriors might lose the best record in the West to the top seeded Houston Rockers which is currently up by 2.5 games to the defending Western Champion. The Warriors have been the best team in the NBA for 3 consecutive NBA Regular Season where they recorded the best winning record in NBA History of 73 wins and 9 loss and won 2 NBA Titles. Fortunately for the defending NBA Champion despite all the injury problems that they are currently facing they still have a great chance of finishing the season at 2nd place and still have a great chance of recovering injuries before the post season begins? But if injury bothers them comes playoff time? perhaps we are seeing the Houston Rockets will comes out in the West dethroning the 3 – Time Western Conference Champion? Let’s wait and see as the season nears its end and the post season is about to start? No Comment to " Kevin Durant the Latest Victim of Warriors Injury Problem "